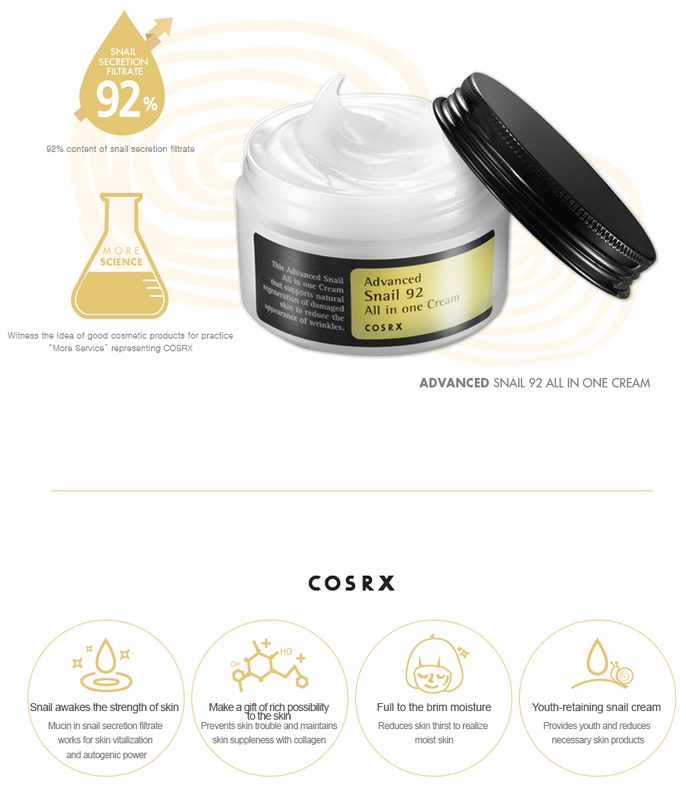 Snail cream with layering of hyper-moisturization without thirst or broken barriers! Ingredients: Snail Secretion Filtrate 92%, adenosine, amino acids, betaine, vitamin. All in one type no need for skin lotion after face wash. Prevents skin trouble and collagen provides skin elasticity. High skin active ingredient prevents skin damage. Reduce skin dehydration giving moisture skin improvement. After facial wash, take a small amount for each area of the face in the final stage of basic care. Tap with fingertips to absorb along the skin texture. Absorb by covering your face 2 to 3 times softly with your palm.